In my opinion, the first thing you must do is get a good genealogy program, or at least some forms that you can use to enter every single thing you know about your family. Ask family members, especially the older ones, about anything and everything they can remember about the generations past. Make sure you get names, places, dates, and be very specific! Don’t leave out items such as burial places or funeral homes if they are remembered. And be sure to ask other things that are not so obviously genealogical, such as things like schooling, occupations, places of work. All of these can help you build the family beyond just names and dates and help with the pieces of the puzzle. Now, one note about this information you have collected: be prepared that some if it will not be accurate! Not all of those old family tales are entirely true so keep an open mind as you research. ·Italiangen.org These sites can help you build the “American” portion of your family tree, as they offer US vital records, census records, immigration records, naturalization records, newspaper articles, and so much more. Sites like Ancestry allow people to post their family trees, so you may find someone else already researching your family. Rootsweb and Ancestry allow you to connect with others in the genealogy community through mailing lists and message boards specific to a surname or region.Italiangen offers some awesome databases for New York City records and FamilySearch offers free online access to the microfilmed records held by the Mormon Church (more about this below).If these sites don’t meet all of your needs, be sure to use the links at the top of this page to help you further. Note: Some web sites, like Ancestry.com, charge a fee for access to their databases. Be sure to check with your local library and your local Family History Center as frequently these facilities offer FREE access to these member-only web sites. FamilySearch and Italiangen.org are all free. Try searching the web using your favorite search engine for your surnames or the name of the town your family is from. You may find others who have already researched and posted message regarding the surnames, and, even better, you may find someone in your ancestral town. Use sites like Facebook to search for people with your surnames or for groups of people who are “friends” on a page for your ancestral town. What Do You Need To Know To Research In Italy Or Sicily? To successfully research your Italian or Sicilian family ancestry, there are a few things you must know. The most important thing you must know is the exact town your ancestor came from. Because vital records such as births, marriages and deaths in Italy are recorded at the TOWN level, you must know the town in order to look for them. If you don’t know the name of the town, here are some suggestions to help you figure out exactly where your ancestor came from. Any and every vital record recorded in the US such as death and marriage records. Note: Catholic church marriage records can be very important and often contain a town of origin for a bride or groom! If you find the civil marriage, try to also find the Church marriage record. The second most important thing you need to know is your ancestor’s original name! Sometimes this can be tricky if names were changed on arrival or in order for a family to become “more American”. If you are not sure about your family name, you really have to ask every single living relative about this and explore all possibilities. Be open to alternate spellings and interesting uses of Americanized names and nicknames. One roadblock many people hit is when they learn that their ancestor was a foundling. Foundlings are babies that were left at the door of the church or in the “receiving wheel” at the orphanage. They often have no identifying information with them and their birth and baptismal certificates will say they are “of unknown relatives”. These babies are often given names that identify them as a foundling (Trovato, D’Ignoti, Proietto/Proietta and Esposita/Esposito are very common) and many will later change their name to something without such stigma. Often the foundling will create a tragic story of how their family was all killed in a fire, a carriage accident or some other tragic event, so there will be family lore about the history of the family that is not true at all. These family lines are often dead-ends. However, sometimes the birth family comes forward at a later date to claim the child. I have seen “Acts of Recognition” where a father will claim a child as his often many years after the child’s birth. Sometimes there will be a margin notation regarding this act of recognition on the original birth record. But these are few and far between, compared to the number of foundlings there were, and the numbers are quite staggering. Some good information on this topic can be found at this website: Tracing Italian Lineages of Adoptees. An interesting and enlightening book to read is Sacrificed for Honor: Italian Infant Abandonment and the Politics of Reproductive Control which discusses at length the causes, statistics and consequences of the abandonment of children that occurred over the centuries in Europe and particularly Italy. Here is a newspaper article about Italy reviving the use of the wheel. And here is a Wikipedia article about Baby Hatches, which is another name for the foundling wheels, and it includes pictures of the Florence and Rome foundling wheels. I Know The Town And My Family Name…Now What? Once you know the name of the town and the correct family name, a great place to move on with your research is at your local Family History Center, run by the Mormon church. Genealogy is a very important part of the Mormon faith. For that reason, they have spent many years traveling the globe microfilming, digitizing and indexing vital records from both civil and church archives, as well as immigration records, census records, military records, naturalization records, and all sorts of other valuable materials. Each branch has permanent materials that focus on their local area as well as computers and/or microfilm readers to help you access records from all over the world for FREE. You do not have to be a Mormon to utilize their facilities and the facilities are run entirely by volunteers. Most of the volunteers have researched their own families and are therefore very knowledgeable so they can be a great source of information. To find out what resources are available for your particular towns of interest, start here. You should definitely contact your closest Family History Center to determine what resources they have on site, as every FHC has different materials. 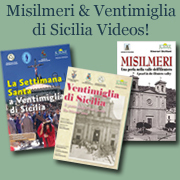 For example, my Family History Center has over 1000 films for towns in Italy and Sicily! There are also lots of other resources are on their main site. A resource guide that you really MUST HAVE to view the films is A Genealogist’s Guide to Discovering Your Italian Ancestors: How to Find and Record Your Unique Heritage, by Lynn Nelson. This book contains copies of many of the documents you will see on the microfilms and includes perfect translations of them, so you will know exactly what you are looking at. It is an INVALUABLE tool. Don’t go to the History Center without it. For help with translating documents, here are some useful websites: Script Tutorial, Google Translate, Italian Genealogical Word List, Italian Handwriting and Babylon 10. If you do not have the ability to do this research yourself, I provide AFFORDABLE research services. Let me do the work for you! See my RESEARCH SERVICES page for more information. Go Straight To The Source! Want to go straight to the source? Write a letter to the Ufficio dello Stato Civile and the Ufficio Anagrafe (civil records office) in your ancestral town and ask for the birth, marriage or death certificate of your ancestor. You can request the Certificato di Stato di Famiglia, or Family Certificate, from your ancestral town too. This certificate will have the head of the family’s information (birth, death, marriage, parents names) as well as that of his wife, and all their children. It can be very valuable in your research. Please note that sometimes the information you get on the Family Certificate may not be complete! For details about writing to Italy including form letters written in Italian, go to Italian Letter Writing Guide, David Zerga’s Italian Form Letters, or Il Circolo Calabrese. Another good resource is the book, A Genealogist’s Guide to Discovering Your Italian Ancestors: How to Find and Record Your Unique Heritage by Lynn Nelson. If you are traveling to your native town in Italy or Sicily and would like to find relatives, I highly recommend while you are in your native town that you ask around to the people you meet in restaurants or hotels or on the street if they know anyone with your surname. I also suggest that you bring a copy of your family tree as you know it to have on hand for reference. READ THIS STORY about one of my clients who used this technique and what happened to him. A big part of genealogy is never giving up! The answer to your family mystery is out there, you may just have to get creative to find it. In some instances with my own research, I have had to do some pretty odd things to find who/what I was looking for. But even though it might have been weird and earned me a few odd looks, it worked! So, don’t give up, think of everything and anything that might provide the information you are looking for and be willing to take a risk or two to find it!